Studios 2 Let Serviced Apartments - Cartwright Gardens is centrally located in London, a 3-minute walk from British Library and 9 minutes by foot from University of London. This apartment is 0.9 mi (1.4 km) from The British Museum and 1.5 mi (2.4 km) from Camden Lock Market. Make yourself at home in one of the 144 guestrooms featuring microwaves and LCD televisions. Complimentary wireless Internet access keeps you connected, and satellite programming is available for your entertainment. Private bathrooms with showers feature complimentary toiletries and hair dryers. Conveniences include safes and electric kettles, and housekeeping is provided on weekdays only. Studios 2 Let Serviced Apartments - Cartwright Gardens features a terrace, tour/ticket assistance, and multilingual staff. Wired and wireless Internet access is complimentary. This Victorian apartment also offers a garden, laundry facilities, and dry cleaning/laundry services. 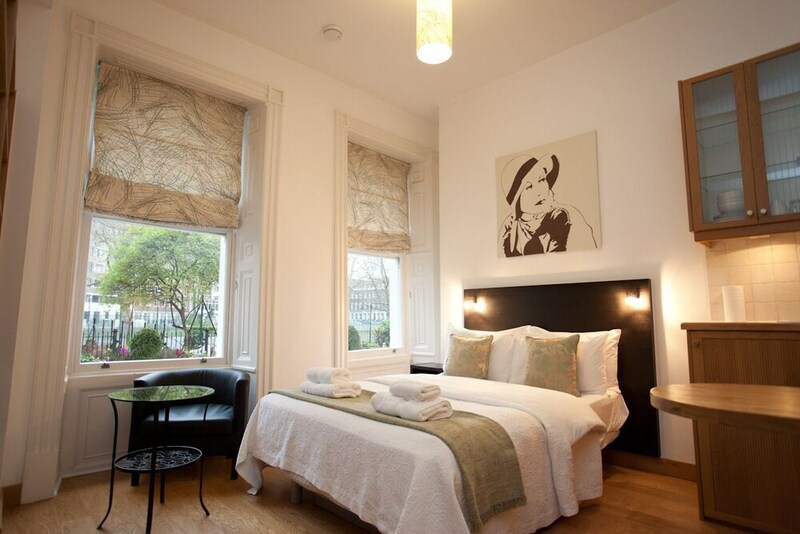 Studios 2 Let Serviced Apartments - Cartwright Gardens is a smoke-free property.